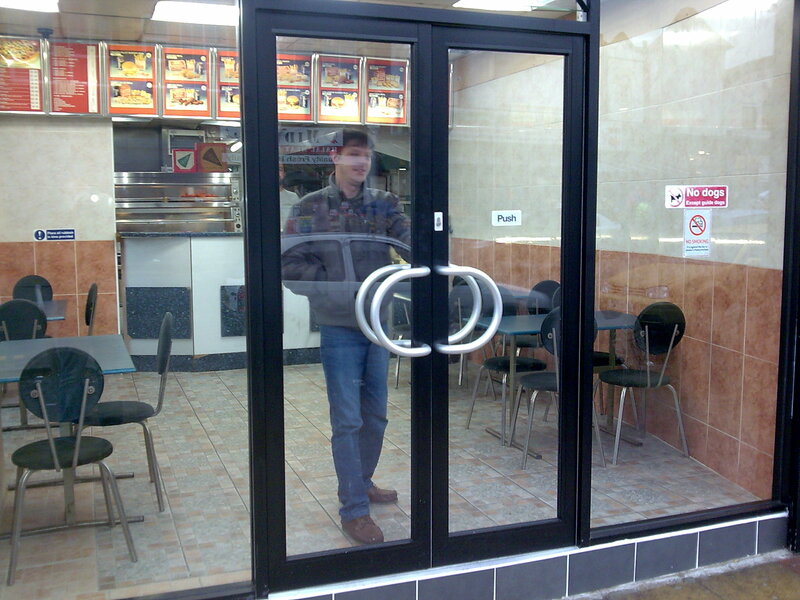 In Liverpool Mane install high quality shop fronts and carry out repairs to aluminium doors. Mane cover the whole of Merseyside including Liverpool, Birkenhead, Wallasey, Bootle and Southport. It can give your shop in Merseyside a completely new outlook and give you the edge on your competitors. Mane offer a standard 2 year guarantee on all shop fronts fitted in the Liverpool area. Mane can often give a quote for a new shop front in Liverpool either by phone or by email, all we need is the rough sizes to the nearest metre and how many doors you require, with this information we will be able to give you an idea of cost. If our price meets your budget Mane will organise a site survey at your shop in Liverpool in which we will design your shop front with you and discuss colour etc. Mane will then provide you with a drawing of how your shop front will look and Mane will then be able to install your new shop front within 10 to 14 days of order. Mane carry out repairs to shop front doors in Liverpool Mane can solve hinge problems, change door closers and repair locks on any aluminium front door in the Liverpool area. Mane Shop Fronts can also replace existing shop front doors in Liverpool without having to replace the full shop front, if you require a replacement shop front door please get in touch for a free quotation.